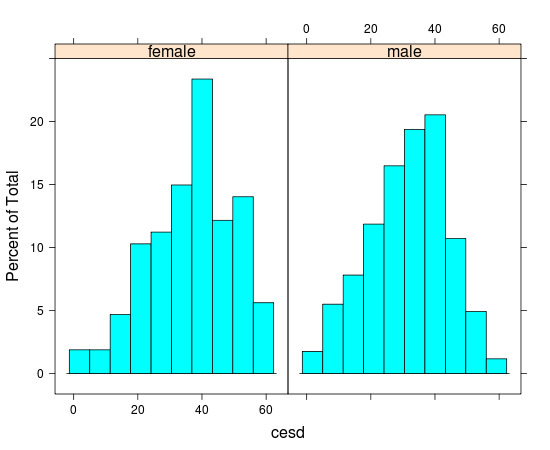 It’s often useful to compare histograms for some key variable, stratified by levels of some other variable. There are several ways to display something like this. 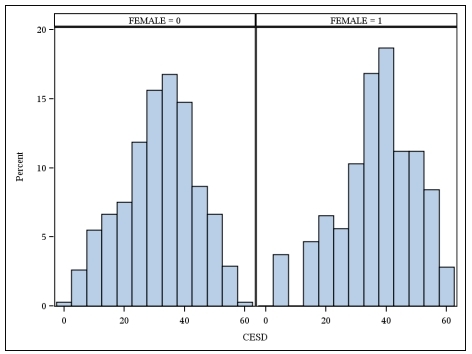 The simplest may be to plot the two histograms in separate panels. In SAS, the most direct and generalizable approach is through the sgpanel procedure. In R, the lattice package provides a similarly direct approach.